Donald Trump’s ignominious executive order barring entry into the United States for refugees and others from seven predominantly Muslim countries has dominated headlines in recent weeks. But the damage done to America’s image, and to the global economy, will only be further compounded by Trump’s early decisions on trade. In speeches and tweets, Trump has aggressively lashed out against globalization. He has appointed the famously protectionist trade litigator Robert Lighthizer to be US Trade Representative. And the other two members of his trade triumvirate – Commerce Secretary-designate Wilbur Ross and White House trade adviser Peter Navarro – are no less protectionist than Lighthizer. Many working- and middle-class Americans believe that free-trade agreements are why their incomes have stagnated over the past two decades. So Trump intends to provide them with “protection” by putting protectionists in charge. But Trump and his triumvirate have misdiagnosed the problem. While globalization is an important factor in the hollowing out of the middle class, so, too, is automation. Most of Lighthizer and Ross’s business experience has been in twentieth-century industries such as steel production, which has conditioned them to pursue twentieth-century solutions for America’s twenty-first-century industrial problems. Unfortunately, old-fashioned protectionism will not boost American industrial competitiveness, even if it saves a few thousand jobs in sunset sectors. Moreover, ripping up trade agreements and raising tariffs will do nothing to create new, high-paying factory jobs. If anything, tariffs will only inflict further harm on workers. Trump and his team are missing a simple point: twenty-first-century globalization is knowledge-led, not trade-led. Radically reduced communication costs have enabled US firms to move production to lower-wage countries. Meanwhile, to keep their production processes synced, firms have also offshored much of their technical, marketing, and managerial knowhow. This “knowledge offshoring” is what has really changed the game for American workers. In 2017, US workers are not competing with low-wage foreign labor, capital, and technology, as they did in the 1970s. Rather, they are competing with a nearly unbeatable combination of low-wage foreign labor and US knowhow. One way to conceptualize this is to think of US products as being made not in the US, but in Factory North America. The goods made in Factory North America must compete with goods made in Factory Asia, Factory Europe, and so forth. This means that if the Trump administration imposes tariffs, it will turn the US into a high-cost island for industrial inputs. Firms might be induced to move some production back to the US, if it is strictly aimed at US consumers. But they will be equally encouraged to offshore production that is aimed at export markets, so that they can compete with Japanese, German, and Chinese producers outside of the US. Imposing tariffs on imports, without also stemming the flow of ideas and intellectual property, is like trying to prevent water from flowing through one’s fingers by making a fist. A more rational approach would accept twenty-first-century realities. The information revolution changed the world in ways that tariffs cannot reverse. With US workers already competing against robots at home, and against low-wage workers abroad, disrupting imports will just create more jobs for robots. Trump should be protecting individual workers, not individual jobs. The processes of twenty-first-century globalization are too sudden, unpredictable, and uncontrollable to rely on static measures like tariffs. Instead, the US needs to restore its social contract so that its workers have a fair shot at sharing in the gains generated by global openness and automation. Globalization and technological innovation are not painless processes, so there will always be a need for retraining initiatives, lifelong education, mobility and income-support programs, and regional transfers. By pursuing such policies, the Trump administration would stand a much better chance of making America “great again” for the working and middle classes. Globalization has always created more opportunities for the most competitive workers, and more insecurity for others. This is why a strong social contract was established during the post-war period of liberalization in the West. In the 1960s and 1970s institutions such as unions expanded, and governments made new commitments to affordable education, social security, and progressive taxation. These all helped members of the middle class seize new opportunities as they emerged. Over the last two decades, this situation has changed dramatically: globalization has continued, but the social contract has been torn up. Trump’s top priority should be to stitch it back together; but his trade advisers do not understand this. 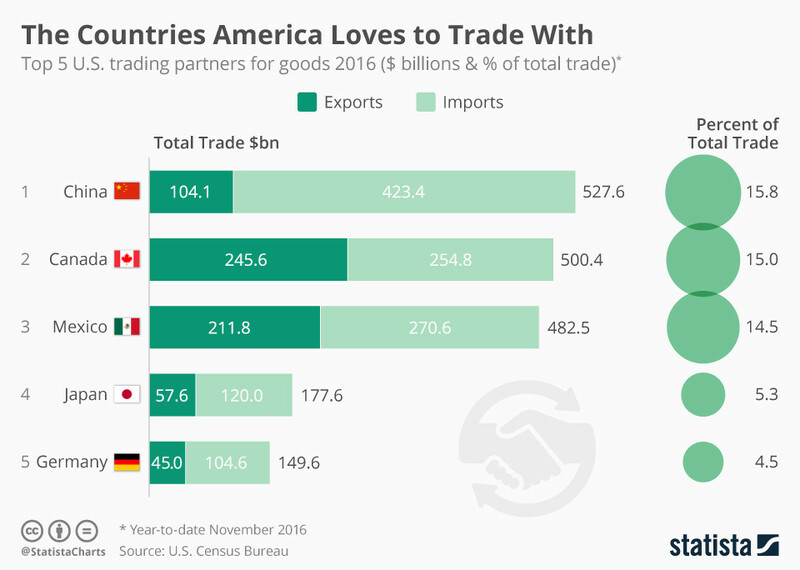 Sadly, they seem intent on imposing tariffs, which will disrupt international supply chains, possibly lead to trade wars, and only hasten US industry’s shift abroad.